We’re all very used to the convenience of printers and photocopiers, but how did the modern photocopier as we know it come to be? In our last blog post, we covered a brief history of the modern printer, so today, we take a look at a brief history of the photocopier. 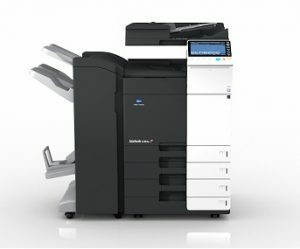 Nowadays, multi-functional machines that can print, photocopy, scan and email are incredibly popular in modern offices. However, stand-alone photocopiers filled the distinct gap for copying facilities at the time. The inventor of the photocopier was a man named Chester Carlson, who back in 1938 created a photocopying device by using static electricity created from a handkerchief, light and dry powder. However, it wasn’t until 20 years later in 1959 that the photocopier was marketed by Xerox. The first commercial photocopier available was the Xerox 914. Despite being around the size of two washing machines and prone to spontaneous combustion, the product was still in high demand. Xerox is reported to have sold thousands of these machines and began manufacturing them in large quantities to keep up with the demand. The photocopier was a welcome addition to many offices, and whilst it increased the efficiency of many tasks, it didn’t make the role of any office workers obsolete. We’ve come a long way in technology since 1959 and photocopiers now come in all shapes and sizes, with a plethora of functions that are a welcome sight to anyone running an office. Here at Paw Print Copiers, we have a wealth of experience in servicing and repairing photocopiers to ensure they perform at their very best. What’s more, we also provide photocopier rental, meaning you can invest in a photocopier that suits your requirements, without needing to store the item when you no longer need it. If you would like to find out more about our services, please call today on 01525 854 698 or send your enquiry through to our online contact form.